Although competent (vs mediocre) subordinates, while better contributors to dictator success, are also more prone to treason, it remains unclear empirically how (and even whether) dictators address this loyalty–competence tradeoff. 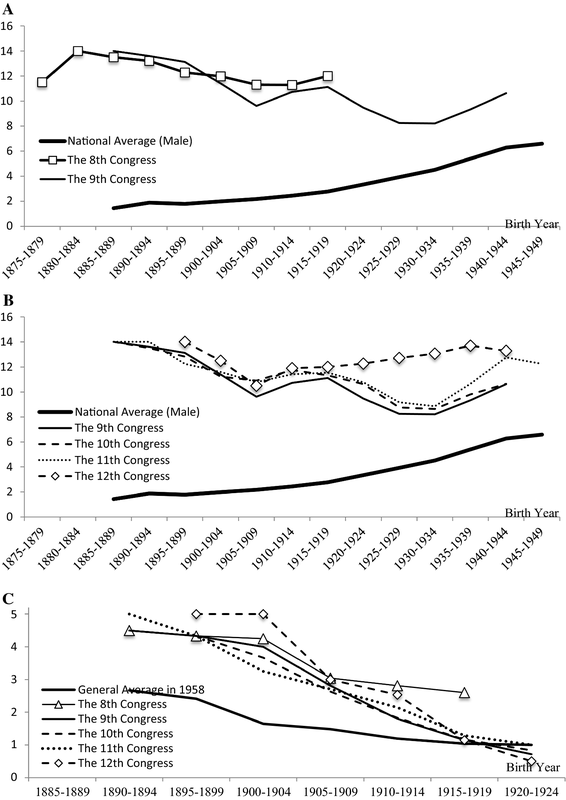 To throw light on this issue, we use a biographical dataset of Chinese Communist Party Central Committee (CC) members from 1945 to 1982 to investigate the tradeoff faced by Mao Zedong in selecting his senior officials. Our results suggest that during the Cultural Revolution (1966–1976), the foundation and consolidation of the new regime lowered the payoff from subordinate competence, leading to the purging of competent CC members and their replacement by mediocre substitutes. Additional analyses of the competing mechanisms proposed by different theoretical models indicate further that capable young subordinates are more likely to be purged, possibly because they have more outside options (e.g., future hiring by the dictator’s successor) and, hence, expend less effort on loyalty. We are grateful to Sacha Becker, James Kai-sing Kung, Margaret Levi, Konstantin Sonin, Daniel Treisman, Jing Zhan, and workshop/conference participants at the EEA Annual Congress 2013, Peking University and Tsinghua University. To illustrate the overall replacement patterns, we summarize and plot the changes in CC membership size from 1945 to 1982. As Fig. 5 shows, before the CR, CC membership more than doubled from 76 members in 1945 to 180 in 1966. No significant replacement occurred until the launch of the CR, after which the size of the CC changed frequently, characterized by large-scale removals of old members and the mass promotion of new members. These mass replacements did not stop the CC from expanding, however, and its membership doubled again in 1982 to 348. These trends remain similar even after we divide CC members into four groups based on status or rank, which are, from top to bottom, Politburo Standing Committee member, Politburo member, full member, and alternate member. Annual changes in the size of the CC, June 1945–September 1982.
a Average years of schooling: eighth and ninth CCs. b Average years of schooling: ninth to twelfth CC. c average military ranks. We also compare the national average years of schooling with that of CC members during and after the CR. As Fig. 6b shows, the members of the Ninth CC selected in the first CR period generally had the lowest average level of education. The second-lowest level was that of the members of the Tenth CC selected in the second CR period. Although the members of the post-CR Eleventh CC had a similar average education to that of the members of the Tenth CC, its younger cohorts were obviously more highly educated. The highest average education level was for members of the Twelfth CC. all of which supports the finding that CC members’ average education decreased in the first CR period and gradually increased afterwards. Figure 6c shows the average military ranks across birth cohorts for six groups: the population and five sets of CC members. 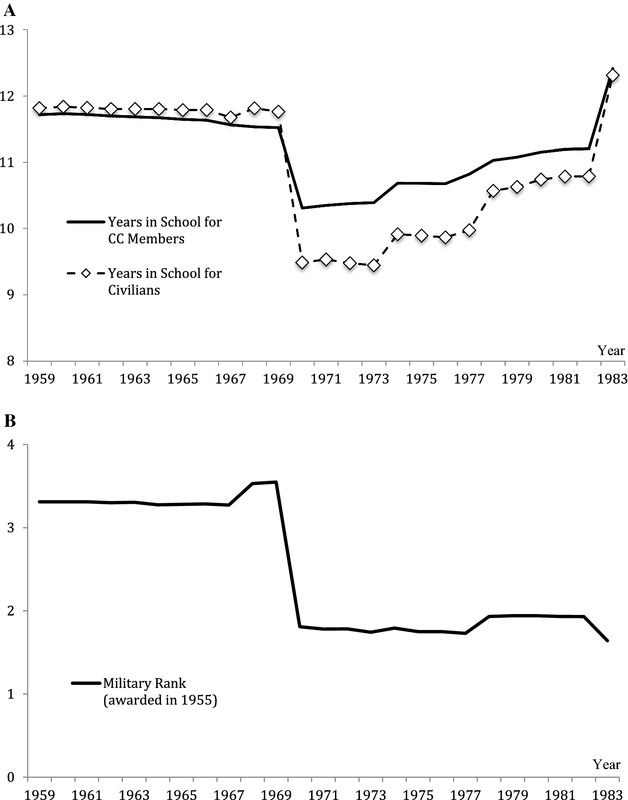 Similar to the changes in CC members’ average education, the average military rank declined from the pre-CR Eighth CC to the first CR period Ninth CC, with the average military rank of the 1920–1924 cohort in the Ninth CC being even lower than the overall average. After the second CR period, however, the average military ranks show no significant changes across CCs. Figure 7a shows the annual changes in CC members’ average years of schooling, a value that decreases sharply during the first CR period. Specifically, the CC members selected in 1966, when the CR began, averaged around 11.63 years of schooling (almost the level of senior high school). The value bottomed out in 1969, when the Ninth NPC was convened, at about 10.31 years (between middle and high school). It increased to 10.69 years by 1973 in the second CR period and to 11.03 years by 1977 after the CR. By 1982, the average had reached about 12.31 years (senior high school), a return to the pre-CR level. When looking exclusively at the changes in the average years of schooling of civilian CC members, we find a larger range of change but similar general patterns. a CC members’ average years of schooling, January 1, 1959–January 1, 1983. b Average military rank granted in 1955, January 1, 1959–January 1, 1983. Figure 7b shows the annual changes in the average military rank of CC military members. Like educational averages, the average military rank also declined sharply in the first CR period, from about 3.286 (higher than general) before the CR to 1.855 (lower than lieutenant general) in 1969. After that, no significant changes are observable. Given that education levels are more strongly related to the quality and performance of civilian officials, we repeat the previous exercises exclusively for civilian CC members. As Fig. 8a shows, the patterns are not only very similar to those for all CC members but are even more salient, with average education percentiles decreasing to as low as around the 70th percentile for the first CR period Ninth CC. 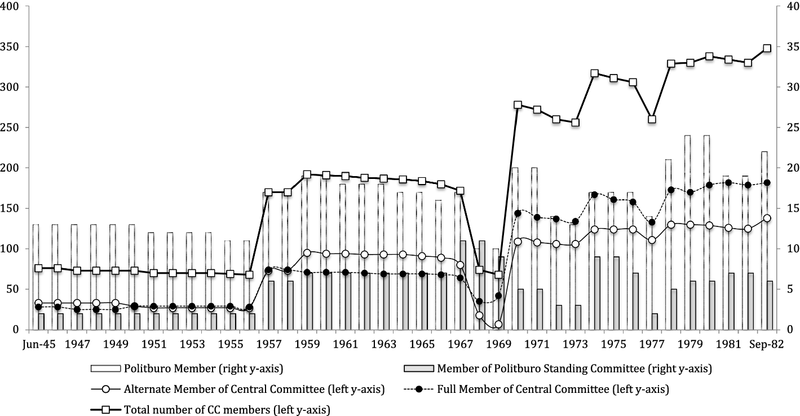 Although the average percentiles of military CC members also decreased significantly for the Ninth CC, no obvious changes occurred afterwards (see Fig. 8b). a Civilian CC members. b Military CC members. Reuter, O. J., & Buckley, N. (2017). Performance incentives under autocracy: Evidence from Russia’s regions. 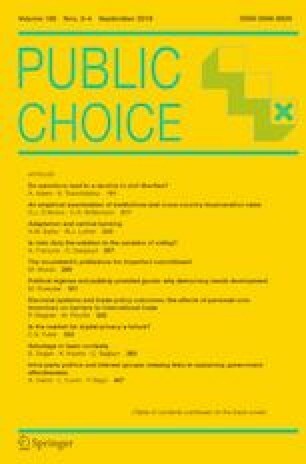 https://papers.ssrn.com/sol3/papers.cfm?abstract_id=2903789. Wagner, A. F. (2010). An economic analysis of loyalty and competence. Working Paper. http://bit.ly/2A8FLdT.